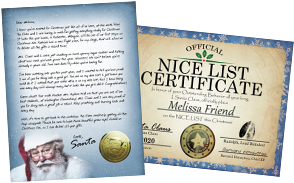 Package From Santa ® Letters from Santa Claus North Pole Address Personalized Letters From Santa Online! What is Package From Santa®? Amaze Your Loved One With the All-New 2018 Personalized Santa Letter Package in 3 Easy Steps! 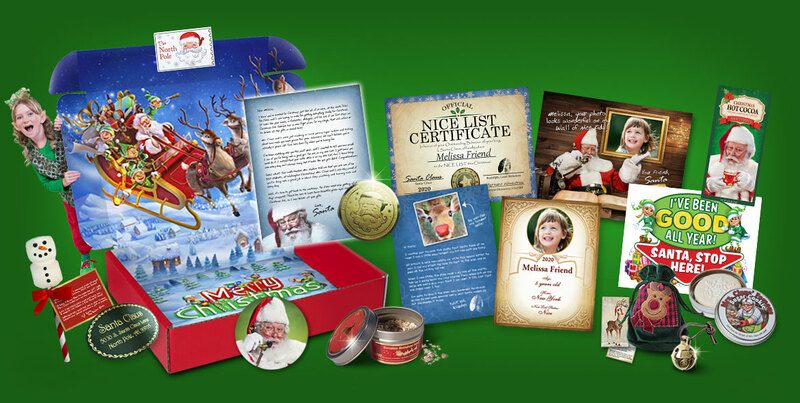 The real magic of a genuine Package from Santa® is how personalized each package is! 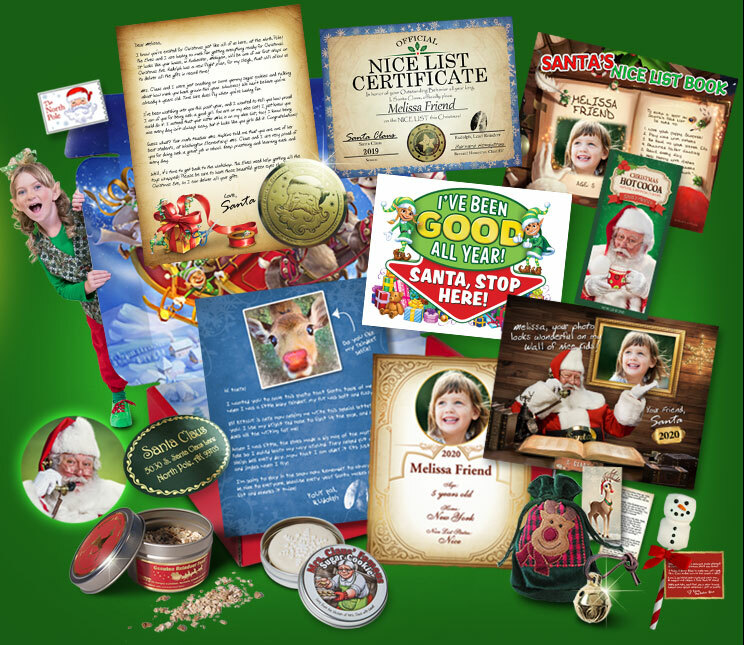 A tailor-made package of North Pole goodies with an authentic personalized Letter from Santa! Get Started Now! 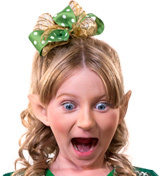 Watch your child go bonkers! When your child gets their personalized Santa package in the mail, they are going to jump thru the roof! 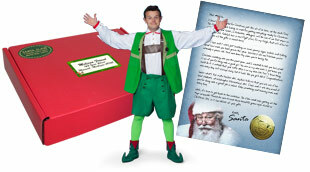 Package from Santa® guarantees this will be the best Christmas ever! Get Started Now! Ships to your child from North Pole! 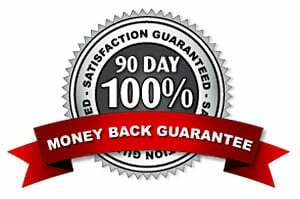 ALL NEW FOR 2018!GET STARTED! Dear Parents... Why a Personalized Letter from Santa? 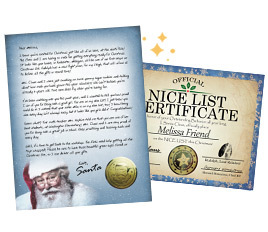 Do you want your child's face to light up in amazement when they get a personalized letter from Santa Claus? Of course you do! 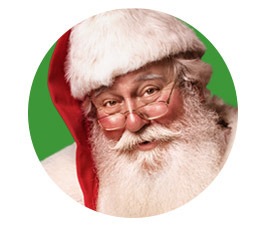 Some of my fondest childhood memories of Santa Claus are extremely vivid and bring me happiness and joy to this day. My parents actually took the time to create a Santa letter, trying to create it to look as authentic as letters from Santa Claus should look. 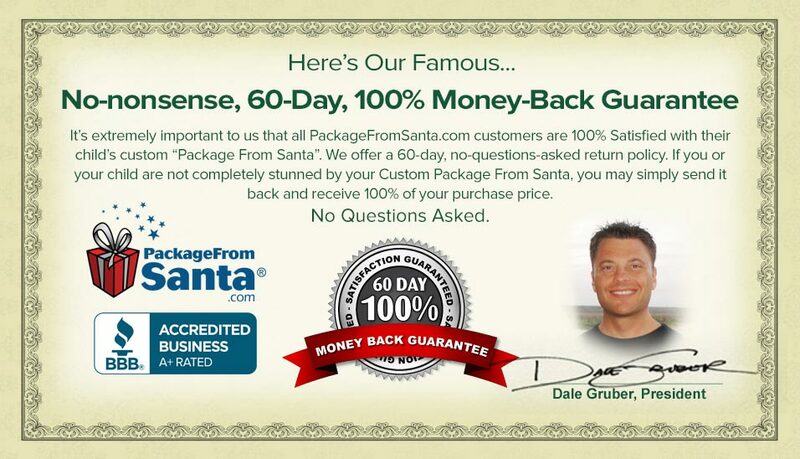 They even took the time to make Santa's signature look real and use a green envelope. All for the love of witnessing my joy as I received the Santa letter in the mail. Yes, I remember it like it was yesterday. Just the fact that I received mail was a huge thrill! But the fact that it was from Santa Claus made it just too good to be true. The Santa letter even mentioned my name...wow! It was a priceless moment for my parents as they watched the fantasy of Santa Claus unfold. The experience and memories of a good Santa letter can last a lifetime, for both the child and the parents. Every child WANTS to believe, but let's face it, the kids today are much smarter and often demand more proof than just simple letters from Santa. Even if letters from Santa Claus did work, the time it takes just to create one, get the envelopes, paper, stamps, and ensure it's properly mailed can be more time than the average parent even has. Believable Letters from Santa can be a ton of hard work. What if there was a simple, inexpensive way for today's parents to ensure that Santa Claus remains a strong belief in everybody's heart...young and old?